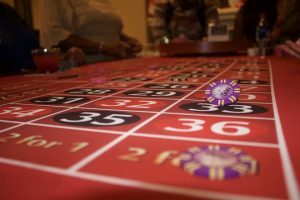 If you’re thinking of exciting, lucrative, and glamorous casino games, roulette is probably right up there among the best. 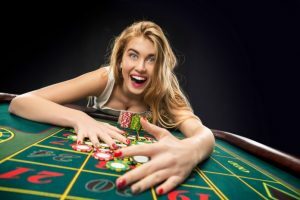 Yet, although many of us think that only high rollers can win on the spin of the wheel, in fact, it’s possible for any of us to minimize our risks and earn some decent pay-outs simply by knowing the best roulette bet to choose. The key comes down to playing the numbers right. There are 38 numbers on an American roulette wheel – 1 to 36, one zero and the 00 symbol. Apart from the two zeros, 50 percent of the numbers on the wheel are black and half are red. Half are also odd while the other half are evens. 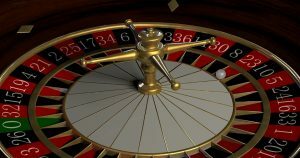 So, how do you know which are the best roulette bets to wager in order to have the highest chance of success the next time the wheel spins? There is no other kind of game found in the average casino that gives its players the opportunity of scoring odds that are virtually 50:50 on a bet. However, with any of the above wagers, you are allowing yourself an opportunity to hit virtually half the numbers of the wheel (not counting the 00 and 0), and this is a fairly good chance to have a win. OK, so the payout ratio will be lower at 1:1, but solely taking into account the numbers, this betting option is one of the best and safest wagers to opt for if you want to play the wheel. If you are happy to risk a little more on every bet, pay-outs using this bet type can actually be quite rewarding. Take, for example, the case of Ashley Revell. He bet his entire life savings of $136,000 on a spin of the wheel. The wheel spun, and the ball delivered a red 7. Since Revell put all of his money on red, he instantly doubled his money and netted himself an outstanding profit. Perhaps a 1:1 payout isn’t a terribly exciting prospect. Then, why not up your ante just a little with a payout of 2:1 on columns. 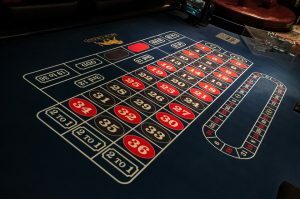 This is the second top roulette bet for anyone who wants to limit his or her risk, and it brings the choice of numbers to just less than a third of the wheel. Nevertheless, it still gives you a good chance of covering a lot of the wheel while also offering the chance to double your profits. Roulette columns do not use consecutive numbers. Instead, they have numbers at intervals of 3. There are also different numbers of black and red numbers in each column and the 00 and 0 will not be included. If you’d prefer to try something a little different and hedge your bets, this third option could be for you. The third column of the board has four black numbers and eight red, while the second column has four red numbers and eight black. As a savvy player, you can benefit from the layout by betting on the third column with its extra red numbers at the same time as betting on the black numbers (e.g. place a $10 wager on the third column, as well as a $20 wager on the black numbers). This gives you a greater chance of either making a profit or, at least, breaking even. Let’s explore the reasons why. The third column has more reds than the other columns. This means that you will be covering a large amount of the wheel’s red numbers. You are also wagering on black, and this covers just under 50 percent of the wheel. Because the third column pays out at 2:1 and the blacks pay out at 1:1, if you bet twice as much on the blacks, you’ll break even minimize your risks, and slowly and steadily add a little to your bankroll every few spins. Perhaps you are not really that interested in minimizing your risk and, instead, are keen to go all out for maximum profits? Then, try your hand at a straight-up bet. This means that you bet on just one number and hope for the best. Yes, the risk is hugely high, but, the potential payout, which is 35:1, could be worth it. This is also the only way in which you can bet on the 00 or 0. What are the odds? Well, if you had a $350 bankroll, you would technically make 35 bets of $10 each consecutively before your bankroll was decimated. However, if you win just once, you win $350. The chance of getting the one number you’ve bet on is just 1 in 37. But, if you’re yearning for that reward, the risk might well be worth it. If you aren’t quite ready to risk it all on a straight-out bet but you are still hoping to maximize your profits, why not go for a mix of risk and reward with the split bet? This means that you’ll place a chip on two numbers that lie next to each other on the felt either vertically or horizontally. The payout here is 17:1, which is a lot lower than the cash-out on a successful straight bet. However, the odds are also better, at 1 in 18. European roulette is a better choice if you can find it, than American roulette simply because there is no 00. However, this helpful table shows you the payouts you can expect to receive depending on which type of bet you go for. Are you ready to risk your bankroll and try your hand at one of these bet types to see if you can make a tidy profit? Whether you are hoping to make as much as you can without any thought of risk, or you’d rather play it safe and take the best chance of scoring wins, albeit small ones, there is a betting strategy here to suit you.